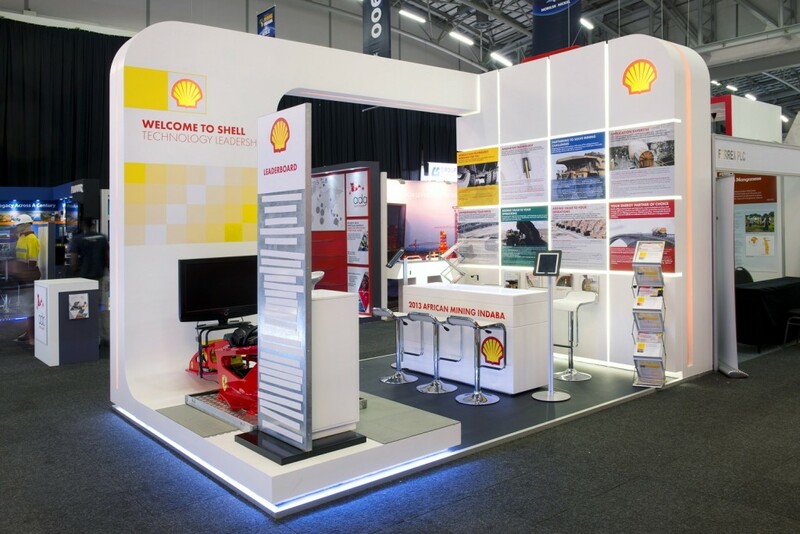 The HOTT3D team were commissioned by Shell and Deloitte to create a corporate platform for their exhibits at Mining Indaba 2013. Work began on these designs well before the end of 2012 due to the proximity of the event to the start of the new year. The late release of the final floorplan by the organizers meant a redesign of Shell in the new year. Both booths were full custom exhibition designs. Both stands utilized interactive features such as iPad kiosks for data capturing. 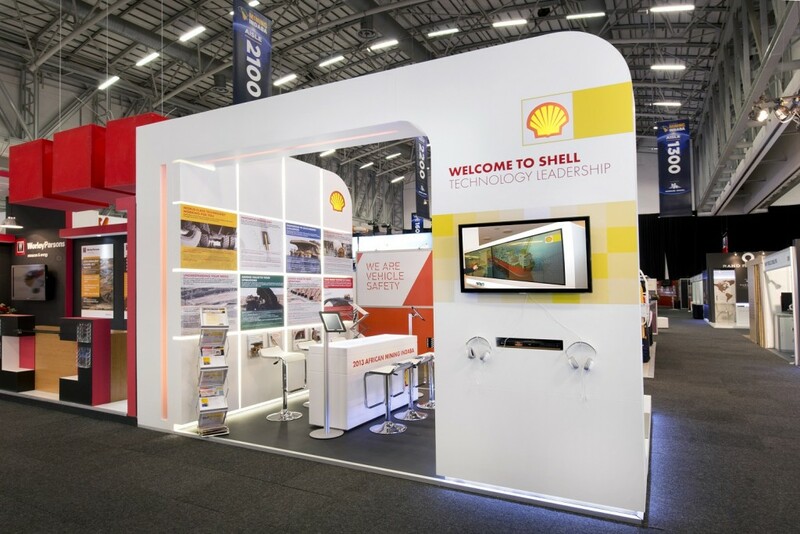 Shell made use of a racing simulator, which proved very popular to the visiting delegates. Who doesn’t want to see their name at the top of the Top Gear Leaderboard?! Its not often we have to work with such small spaces for custom stands. 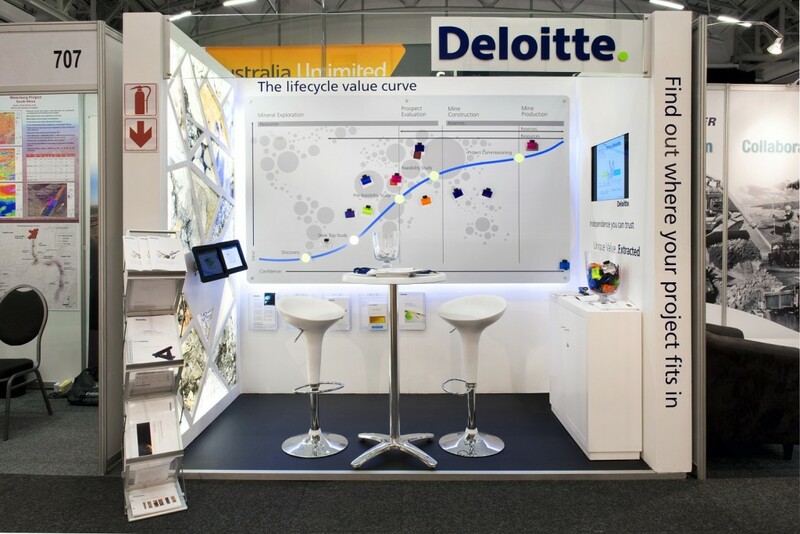 Deloitte in particular was a 3m x 1.5m space…just goes to show how much can be done in a small space. The Mining Indaba is the focal point of the African Mining Industry. Once a year it allows the biggest stakeholders involved in Africa’s mining sector to interact, conduct business and network. 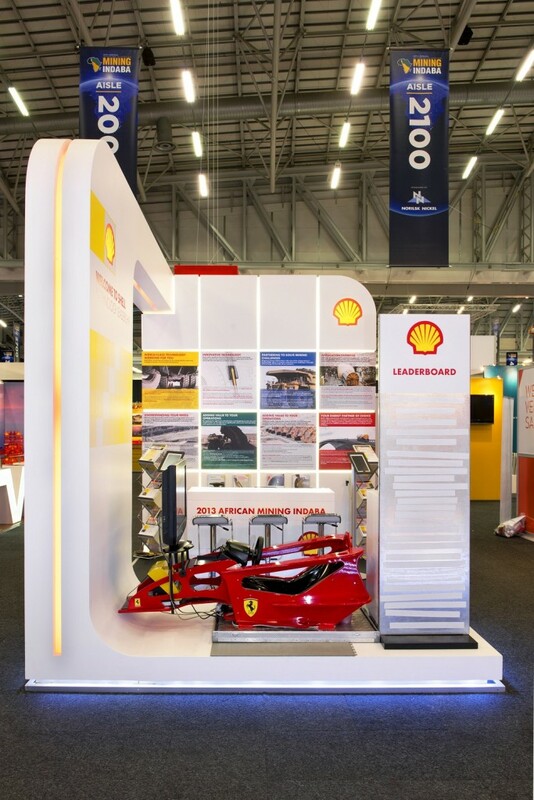 The 3 days on which the conference and exhibition are held, see over 7 000 participants from more than 100 countries descend on Cape Town’s International Convention Centre (CTICC). The event is also attended by over 40 African and International Government Delegations (including: Mining Ministers, Leaders of Government and Regulators.) Others who attend include: Over 1 000 international mining exploration and services companies, mining tech companies and heavy machinery & equipment companies. 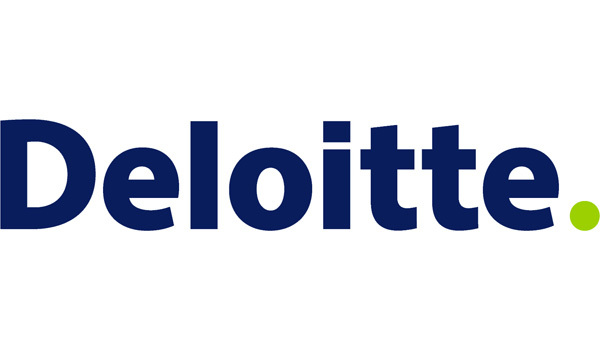 The financial sector of the mining sector is also well represented by investors, analysts and investment firms.